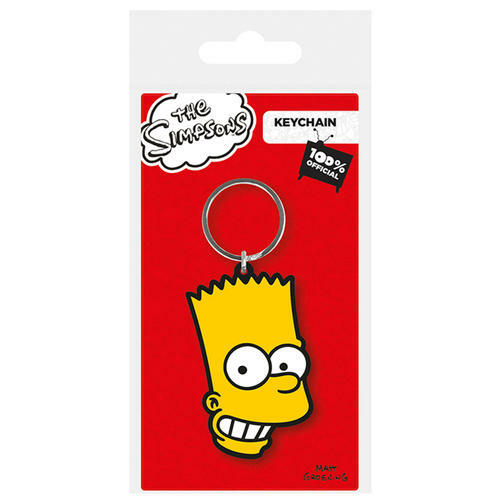 Simpsons Rubber Keychain featuring Bart character and made of soft rubber. Can be attached to bags, belts, keys and other items. The keychain measures approximately 6.5cm x 4.5cm. Officially licensed. 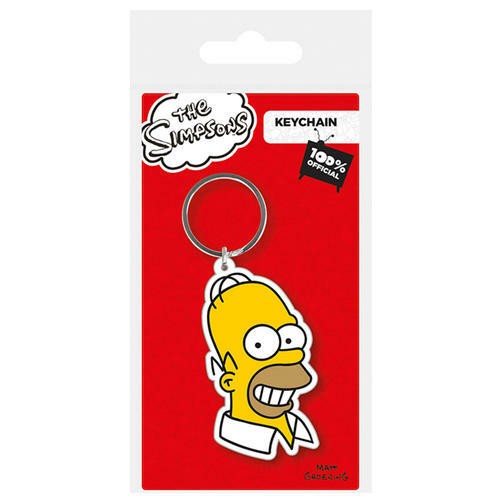 Simpsons Rubber Keychain featuring Homer character and made of soft rubber. Can be attached to bags, belts, keys and other items. The keychain measures approximately 6.5cm x 4.5cm. Officially licensed. 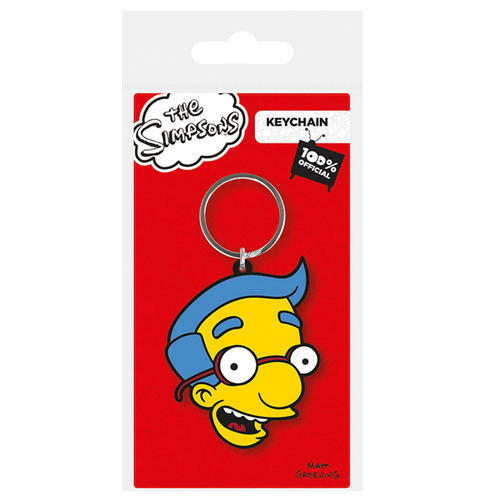 Simpsons Rubber Keychain featuring Milhouse character and made of soft rubber. Can be attached to bags, belts, keys and other items. The keychain measures approximately 6.5cm x 4.5cm. Officially licensed. 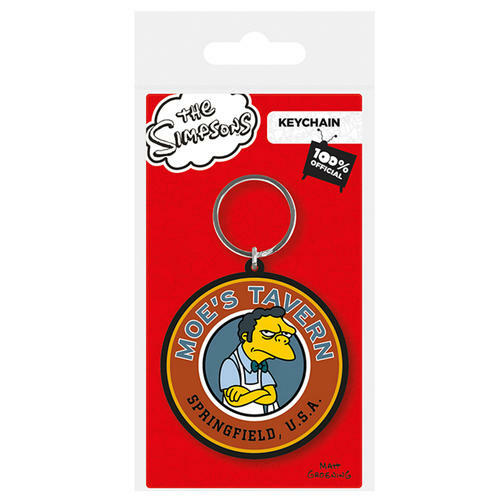 Simpsons Rubber Keychain featuring Moe's Tavern and made of soft rubber. Can be attached to bags, belts, keys and other items. The keychain measures approximately 6.5cm x 4.5cm. Officially licensed. 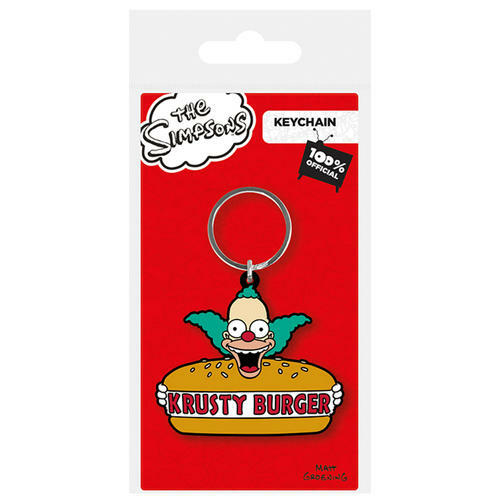 Simpsons Rubber Keychain featuring Krusty Burger and made of soft rubber. Can be attached to bags, belts, keys and other items. The keychain measures approximately 6.5cm x 4.5cm. Officially licensed. 500ml pop up bottle featuring a design based on The Simpsons TV show. Features a flip top cap preventing spillages. Officially licensed. 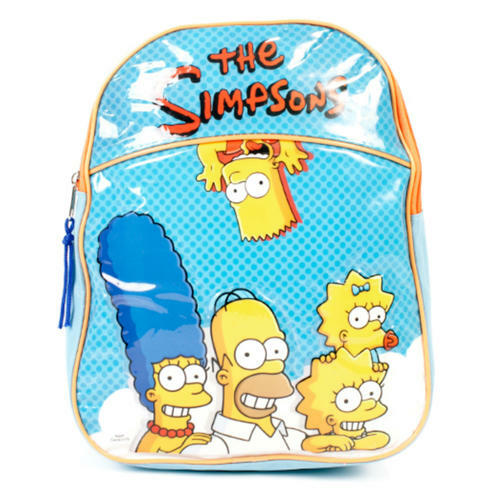 Simpsons Junior Backpack with a large storage compartment. It features a fun & colourful wipe clean design as well as padded adjustable straps & a hanging hook. Officially licensed. 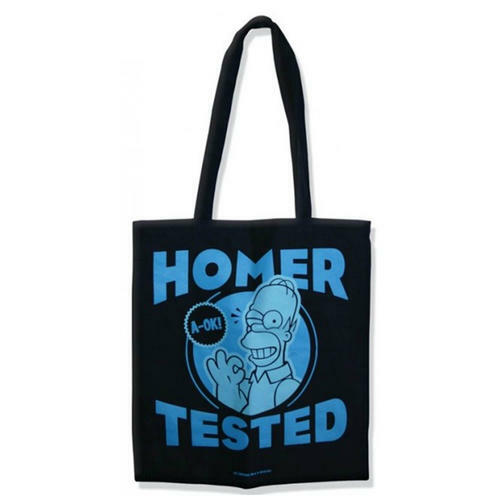 Shopper Bag featuring a high quality ‘Homer Tested’ print from the hugely popular Simpsons license. Officially licensed. Shopper Bag featuring a high quality ‘Get Duffed’ print from the hugely popular Simpsons license. Officially licensed. Shopper Bag featuring a high quality ‘I Love Springfield’ print from the hugely popular Simpsons license. Officially licensed.